Efflorescence refers to the white patches you often see on brickwork and tiles. It's caused by salts being deposited on the surface as moisture evaporates. We find this problem is quite common on older floors that do not have a Damp-Proof Membrane (DPM) installed. Without this barrier in place, damp in the substrate rises through the tile taking with it salts from the ground. In extreme cases where moisture is trapped under the floor by an non-breathable sealer or other covering it can cause damp to spread to the walls leading to rising damp. Floors installed before the mid 1960s rarely had a DPM and this is especially true of Victorian tiled floors which were typically laid on a wet screed over mud, clay, sand, chalk and often in the case of terraced buildings the rubble from adjacent building works. The appearance of efflorescence is more common as we move into Winter and the central heating gets switched back on. Its also quite common in Kitchens where range cookers such as Aga's have been installed which provide a constant warm environment that encourages evaporation. If you have an old floor where you suspect this may be an issues you can monitor the moisture in the floor using a damp meter. The only way to cure salt problems permanently is to have a DPM installed which as you can imagine is a very invasive and costly procedure. Far better therefore to work around the problem with the following advice. Efflorescence, or Mineral Salts as there are commonly known, are Alkaline, so it’s always a good idea when working on non-acid sensitive floor tiles such as Terracotta and Flagstone where a DPM hasn’t been installed to give the floor an acid rinse after you have finished the main clean. 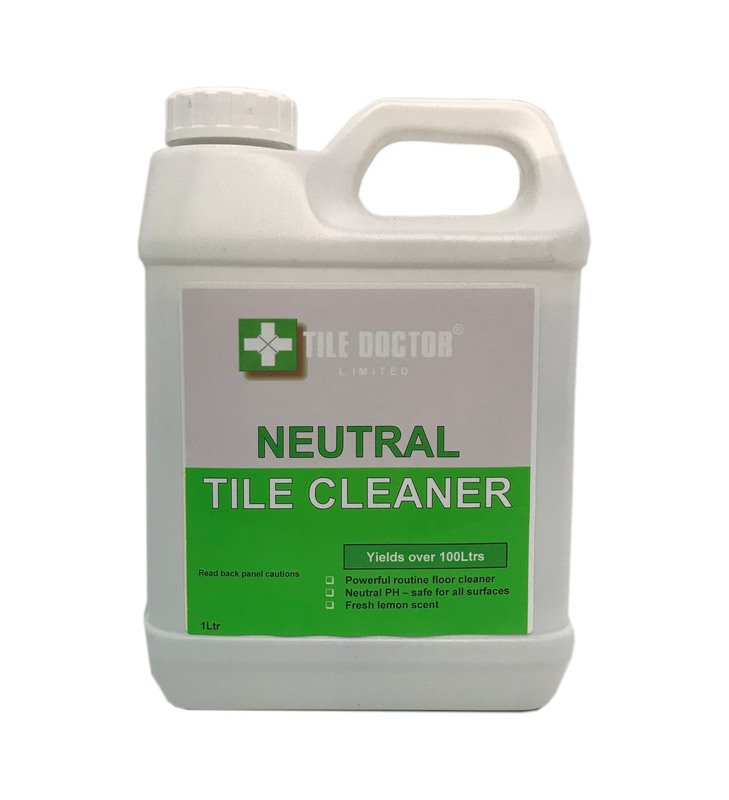 For heavy Efflorescence problems use neat Tile Doctor Acid Gel, for moderate to light Effloresence use Tile Doctor Grout Clean-up diluted 1:3 parts water. Always follow the instruction on the bottle. This will counter the alkaline cleaning chemicals and any inherent salt issues and return the pH of the floor to neutral. Please Note: Acids should not be used on acid sensitive surfaces such as Polished Concrete, Encaustic Cement Tiles Limestone, Marble, Travertine and Terrazzo. Contact Tile Doctor for further advice. We advise Tile Doctors to ensure that when quoting for cleaning a floor where efflorescence is suspected to ensure the customer is fully aware of the potential issues and to advise them that further work may be required to remedy the problem should it arise. If white salt deposits form on the floor after the clean, then they can usually be removed by washing the floor with a neutral tile cleaning product such as Neutral Tile Cleaner or Stone Soap. If the salts prove to be stubborn to remove, then the floor can be rinsed with a weak dilution of Grout Clean-Up, use three cupfuls to two gallons of warm water. The floor should be mopped with the solution once a day until the salts disappear. 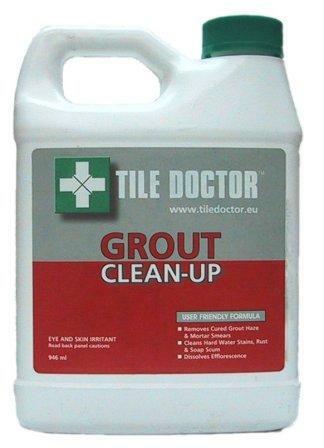 Grout Clean-up is acidic however and can therefore reduce the life of the sealer, so once the salts have stopped oxidising, we recommend applying a fresh coat of sealer after 24 hours. We rarely recommend applying a sealer after cleaning as sealers work best when applied to dry floors. As a result we usually wait until the next day, however if the damp reading in your floor is consistently high we would recommended waiting until the drier months before treating the floor. Often drying times can be decreased with the use of an air mover or dehumidifier, turning on the heating or ensuring air circulation across the floor also helps. 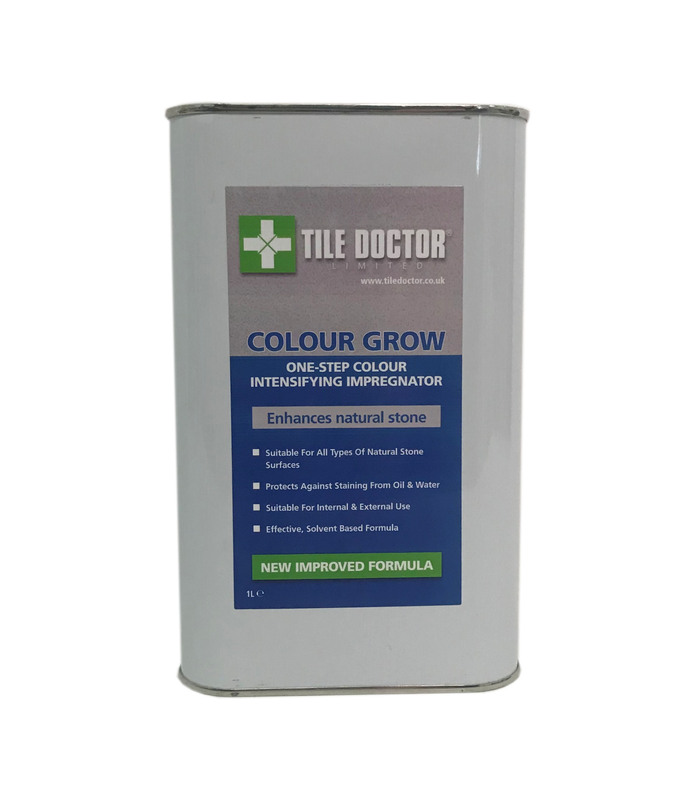 We recommend using a Fully Breathable Sealer on floors with efflorescence, specifically Tile Doctor Colour Grow which will allow salts to rise through the tile and not become trapped where they can cause damage over time. Colour Grow does leave a Matt finish so if you want the floor to have a light sheen appearance consider applying an Acrylic Sealer such as Tile Doctor Seal and Go Extra which is also breathable. 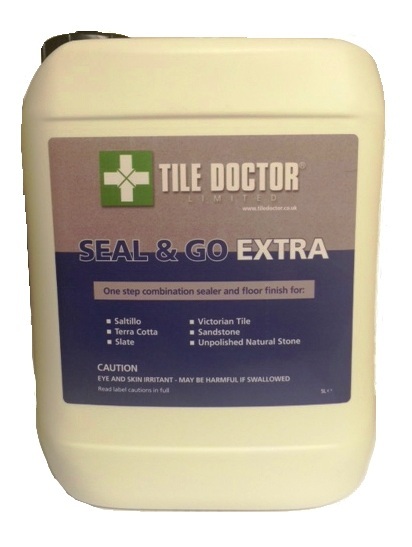 PLEASE NOTE: We only recommend using Seal and Go Extra where there is a low risk of efflorescence. If efflorescence is a known problem with the floor its best to use Colour Grow. If salts appear after Colour Grow has cured (typically 24 hours) then the sealer will allow Vapour Moisture Transmission to occur, which is a process that allows the salts to oxidise without any damage to the sealer itself. If the salts come through before Colour Grow has fully cured then the worst that can happen is you lose some colour enhancement. Should this happen then the floor should be cleaned to remove the salts (see advice above) and then apply another coat of sealer 24 hours after the salting problem has settled.